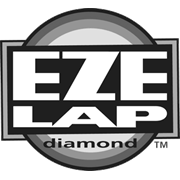 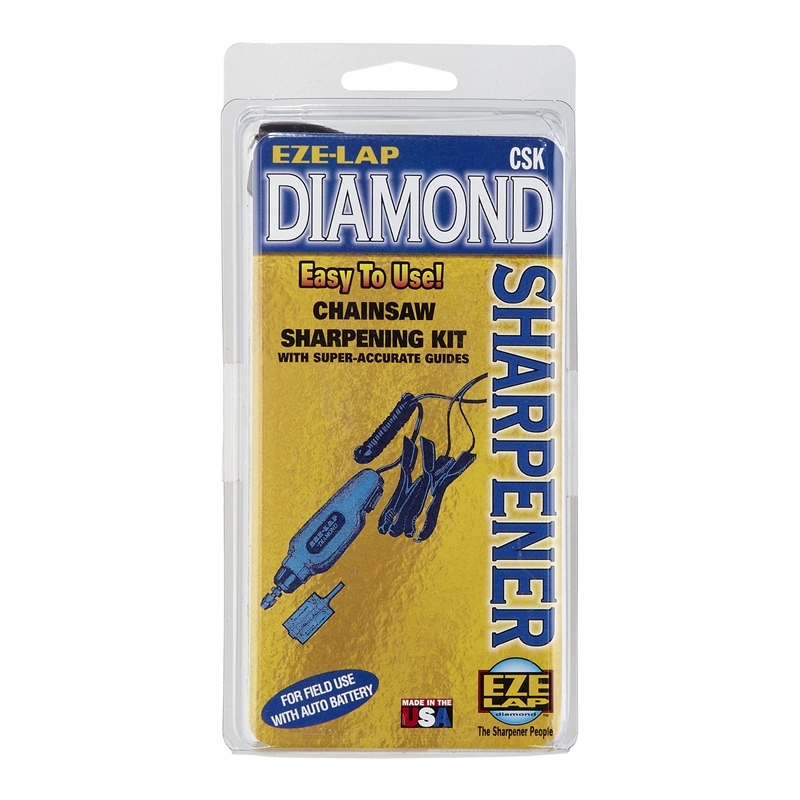 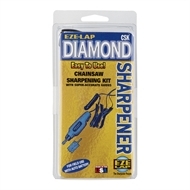 The EZE-LAP Diamond Chainsaw Sharpening Kit allows the user to sharpen chainsaws in the field when a power drill or AC service is not available. 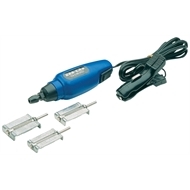 The kit includes a 12vDC minature drill, 1400rmp and 3 x csg cutters (1 each size). 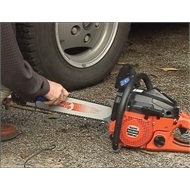 The unique combination connection splits for use in both a lighter plug and the poles of a battery.